Here you can find a collection of the kind of projects we’ve worked on recently. But if you can’t see a project here that’s like yours, it doesn’t mean we can’t handle it. We can take any project from start to completion, regardless of size, time-scale or complexity. Remediation of light and heavy-end hydrocarbons around live fuel infrastructure. Continuous monitoring of the thickness of oil on groundwater under tidal conditions. Large-scale in situ chemical oxidation to target hydrocarbon contamination. 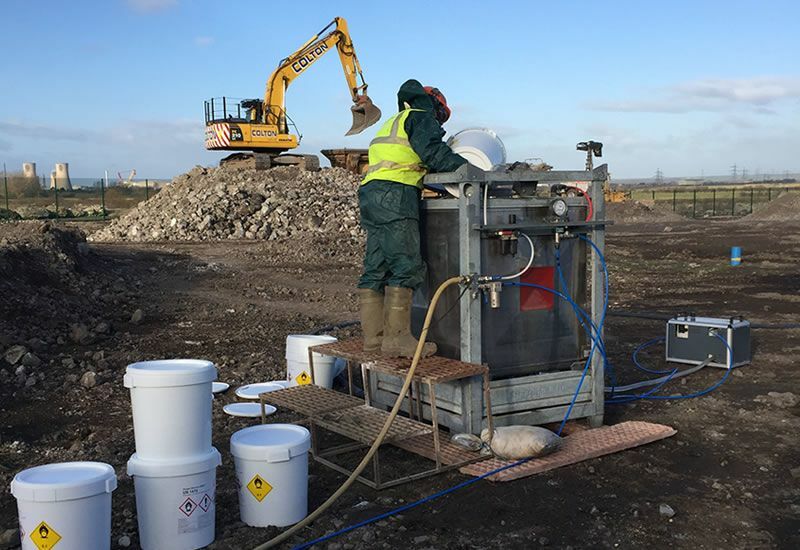 In situ soil stabilisation/solidification and LNAPL recovery on the site of a former scrap yard. GeoStream delivered a large in-situ groundwater treatment plant for an oil refinery in Saudi Arabia. GeoStream was contracted to supply a water treatment plant to a large power station with a water contamination issue. The site was also subject to strict controls on working methods, and health and safety was its top priorit. TerraConsult Ltd had carried out a site investigation, risk assessment, options appraisal and remediation strategy. The site was heavily contaminated with a range of hydrocarbons and solvents, including the presence of free product, requiring the application of both process-based and chemical solutions. Solidification/stablisation of the core of a hydrocarbon contamination plume within the shallow soils on-site. This was combined with the design, supply, installation and commissioning of a full pump and treat system to treat contaminated groundwater. The supply, installation and commissioning of a bespoke multi-phase treatment system on the site of a manufacturer of heavy vehicle brakes. This included controlling the client's existing 15 pneumatic well pumps.